Perfect timing, I need this advice. I would also love an article about filters. All Tele Vue all the time. My 41mm Panoptic is a wide field monster. I get full disk (just barely) sun and moon and they are crystal clear. My 21mm Ethos is a work horse and brings M42 and M31 into my lap. The detail in Orion is breath taking. My little Radian 12mm makes Saturn look like an atist’s drawing. When I showed some people from work Saturn with the 12mm (under HORRIBLE light pollution) they swore it was some kind of picture in front of the scope. My next lens will be an Ethos 8mm because that’s about as far as I can go with my11″ SCT. Olaf, listen to Adrian and buy the very best you can afford. It is far far better to get one premium eyepiece a year then to get a middle of the road set now. One thing to keep in mind is when you get to the really high power stuff, the magnification can exceed the resolving power/light gathering of your scope. Don’t waste your money on something that exceeds your scope. Some of the major manufacturers (like Tele Vue) have calculators on thier website so you know just how low you can go. Good introduction this, I tend to group eyepieces into 3 sets, cheap made from jam jar glass not worth keeping; good excellent value for money best buy; super top quality but very expensive – you can pay as much for a super eyepiece as you can for a reasonable telescope. However by the time you can afford such super glass the eyes could have aged with glucoma, detached retinas, cateracts etc to say nothing of reading glassess. As we say youth is wasted on the young. I have a 10mm and a 25mm eyepieces that came with my Orion 10″ Xti. What next eyepiece would you advice? Or barlow lens? I am thinking about a wide field view in 2″ version to see all the hidden wonders out there that I barely can see with my own eyes, but are out there. 50mm? Would my 10″ telescope not cut off part of my view because it is only 10″? Juts one note, I live in a country with bad weather and lost of light pollution. I have an additional question, buy a Barlow or buy additional eyepieces? Is the barlow a cheap trick? Get a barlow. You’ll effectively double your eyepieces. I have a 2x shorty from Orion and use it every night. I don’t own an eyepiece smaller than 12mm. When I need higher magnification, I just add the barlow. As far as eyepieces go, remember you can’t use one that you don’t have. I don’t own any Televues, and doubt that I’ll ever afford more than one. 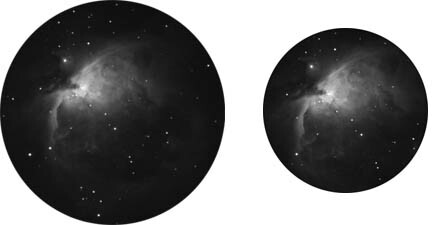 My Orion eyepieces work just fine for me. I have a mid-range telescope and mid-range eyepieces. My views aren’t the best, but they’re good enough. Most importantly, I have what I need to enjoy the stars. To anyone considering adding eyepieces to their collections I have a little experience and some advice. 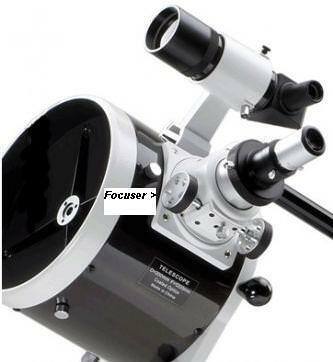 First, ask some other astronomers if you could look through favorite eyepieces they own. Use them on your own telescope if you can. Doing this made me understand what “wide-field” really meant and what was lacking in my kit eyepieces. A quality barlow should be the first purchase before considering more eyepieces. As said before – this will double your arsenal. 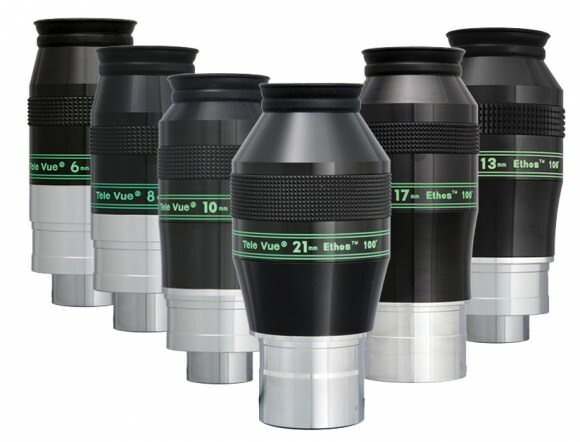 There are some quality eyepieces out there that will not break the bank. I am a big fan of the Baader Hyperion eyepieces. They run about 120 bucks and are the most expensive eyepieces I own. One of my favorite eyepieces, an RKE 28mm, was given to me along with an old Astroscan 2001 telescope. Although I am not opposed to the idea of purchasing a $600 dollar, 100° FOV Teleview EP, I probably never will. I just like food and shelter more than deluxe eyepieces I guess. I just bought an Celestron EP kit (EPs, Barlow, Filters) which I’m more than pleased with. I’m just wondering though, I bought 1.25″ EPs. Should I have bought 2″? Will it matter?